A stomacher of linen with cording, quilting, drawn-thread-and-pulled-fabric work. 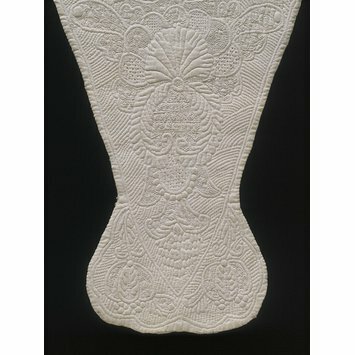 Vertical pattern of a large symmetrical floral and leafy device; the ground has embarcations. 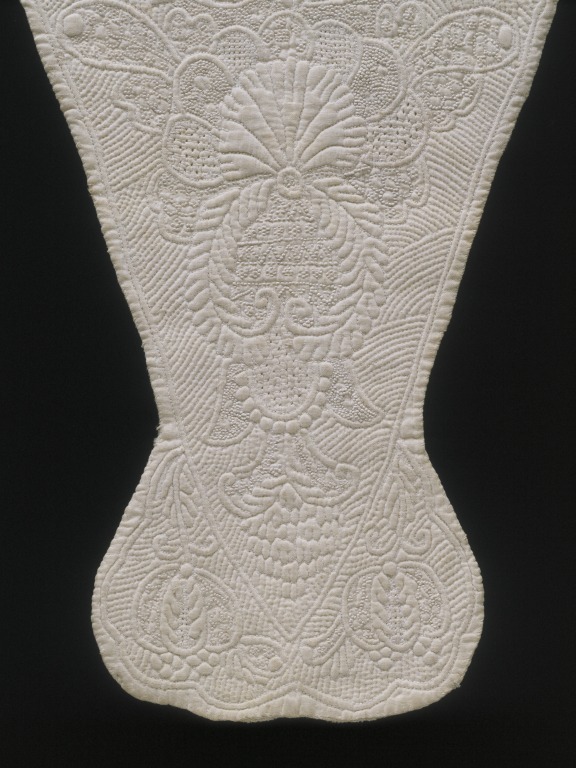 Cotton quilted with linen thread; England; early 18th century.